Sedgefield North is in the Cherry Grove section of North Myrtle Beach, South Carolina. Quiet family beaches are right out back of this North Myrtle Beach resort. It is an easy walk from your North Myrtle Beach vacation condo to reach the Atlantic Ocean where you can let the waves rush over your bare feet. 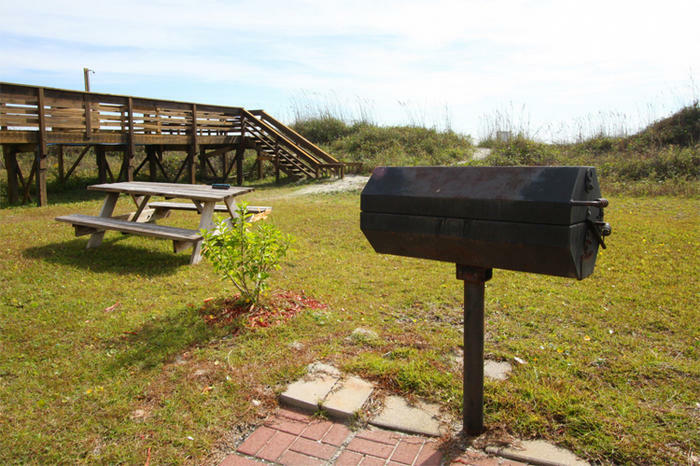 Sedgefield North boasts such on-site conveniences as covered parking and an oceanfront grill area. And the North Myrtle Beach resort amenities are plentiful at Sedgefield North. A sparkling blue swimming pool invites guests to take a refreshing dip when the North Myrtle Beach sun hangs high in the sky. This North Myrtle Beach resort features three-bedroom, three-bath North Myrtle Beach rentals that sleep eight people. These North Myrtle Beach condominiums have a fully furnished kitchen with a dishwasher. There is also a washer/dryer unit in these North Myrtle Beach rentals. Sedgefield North is just minutes from a variety of North Myrtle Beach, SC theatres, including Pirates Voyage, Carolina Opry, House of Blues and Alabama Theatre. Also right around the corner are hundreds of seafood restaurants. From live entertainment and big name concerts to quaint beachfront picnics and charming museums and galleries, North Myrtle Beach, SC has something for everyone. There are more than 100 Myrtle Beach golf courses, 60 miles of white, sandy beaches and plenty of amusements and family-friendly attractions to entertain your family for the duration of your North Myrtle Beach vacation. Elliott Beach Rentals is not affiliated with onsite management or the HOA of Sedgefield North.